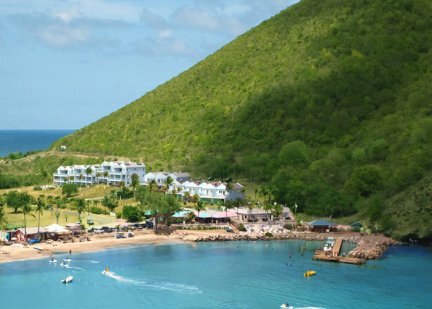 The Timothy Beach Resort in St. Kitts! 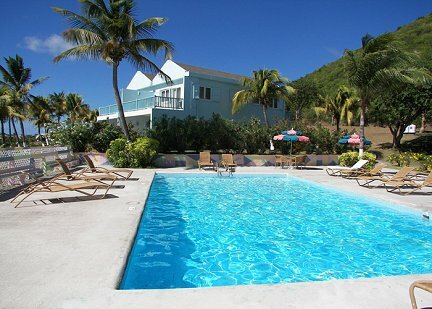 Timothy Beach Resort in St. Kitts! Bid per Room per Night and Choose your Length of Stay! at the Timothy Beach Resort in beautiful St. Kitts! Sun drenched days fun and carefree, gorgeous sunsets over the Caribbean, moonlit nights with more stars than you've ever seen in your life, vervet monkeys scampering merrily beyond your back door, golden sands and crystalline turquoise seas. The only hotel directly on the Caribbean beach in beautiful Frigate Bay, an area set aside for luxury homes and resorts. We are nestled beside the calm Caribbean and a five minute walk from the Atlantic. Our internationally trained staff, fully dedicated to making your stay with us the Caribbean vacation of your dreams. Offer is based on a Single or Double Occupancy in a Mountain View room without kitchen, ocean view or spacious patio. There is a mini balcony facing the mountain. Snorkeling at our reef and watersports just steps from our front door. Guests from other resorts come to our beach for these privileges, but you get to enjoy them throughout your stay! In addition to the above, a golf course and tennis courts are available nearby. Let us arrange a rental car for exploring the natural beauty and historic sites of St. Kitts - suggest side excursions such as rainforest hikes, scuba diving, sea kayaking, or deep sea fishing - or do anything else to make your vacation the exciting adventure you deserve. Lovely ocean front pool featuring privacy for our guests as well as an outstanding view of the Caribbean and beach below. 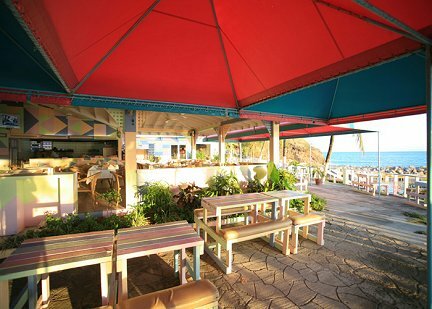 Have a Pina Colada and watch the sunset from one of the best vantage points on the Caribbean side of Frigate Bay. And last, but certainly not least, we are very proud of our recently opened, ocean front Sunset restaurant - fun, casual, relaxing by day - elegant and romantic by night - professionally managed by our Executive Director who has years of experience at luxury hotels in the US and Caribbean. Tax and service charges of $39.00 per room per night are additional.